OK, UX Designers – get ready for some big numbers. According to IBM, 2.5 quintillion bytes of data are generated every day. That’s almost 50,000 GB a second. Or the equivalent of 10 million blu-ray discs stacked vertically, reaching 4 times the height of the Eiffel Tower (thanks Ben Walker for the handy infographic). They don’t call it Big Data for nothing. This quantity of raw information poses a problem for the human brain. Cognitively, we just can’t process those kind of numbers. You can say quintillion (maybe), but you can’t see it in your mind’s eye. For data to be meaningful and impactful, it has to be distilled into visual form. UX Design is one of the fora directly impacted by the data glut, so UX Designers have to be on top of their visualization game. A great way to emphasise key UX findings or activities with with visualization: presenting data visually to users and internal stakeholders will reveal previously unseen patterns. Data visualization (data viz to aficionados) is simply the act of visualizing a data set in a way that can be easily understood. We’re all familiar with simple visualizations such as bar charts and timelines. Increasingly, data viz designers are souping up these simple graphics into interactive visualizations and multimedia experiences. 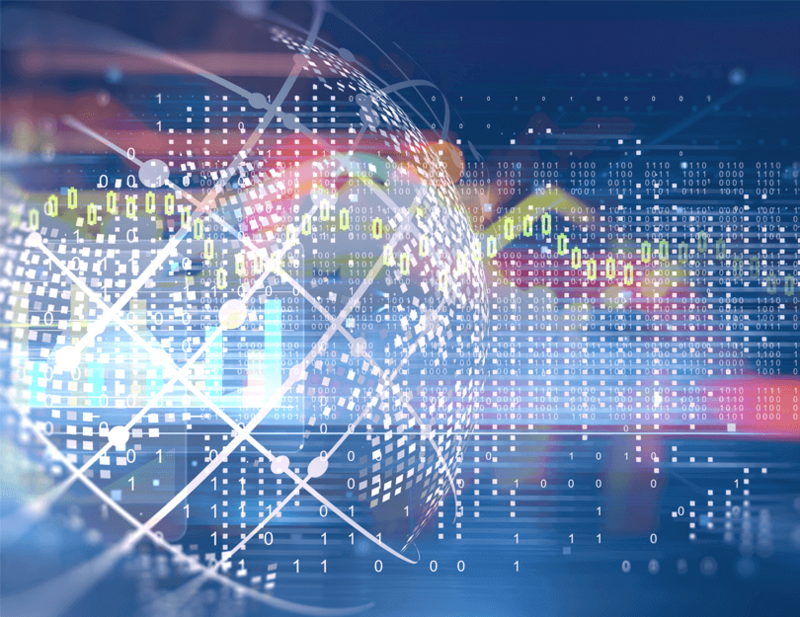 Whether static or interactive, data visualizations help us understand information faster and often reveal insights that would otherwise have gone unnoticed. Also, there’s no arguing that visualized data is more attractive and digestible than a ton of grey stats. 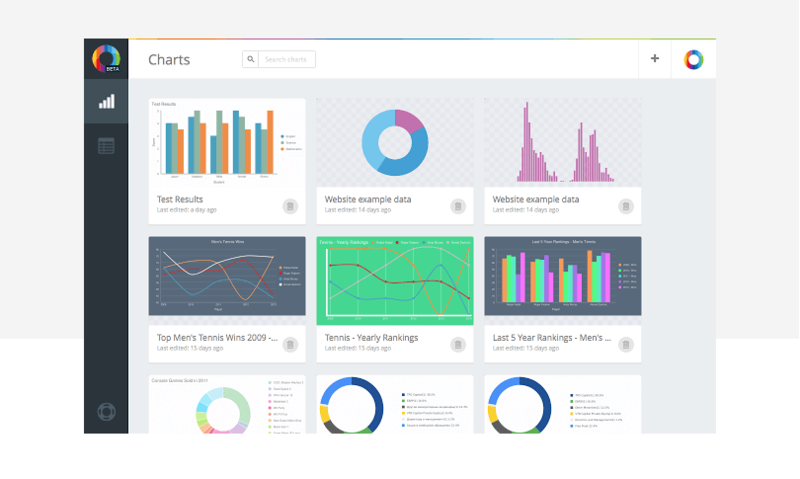 Why do UX Designers need data visualization UX? Once data is visualized and contextualized into journey maps, infographics and charts, you can start to prototype solutions. Luckily, Justinmind allows you to incorporate real user data into your prototypes! Find out more about data-driven prototyping with Justinmind here. Additionally, read these tutorials to learn how to create and populate data masters and display data master records in your prototypes. There’s a huge range of data visualization tools out there to help UXers get a handle on information. From the basic bar chart to interactive timelines and complex visual mappings, these 8 tools have got your UX data visualization needs covered. Datawrapper sells itself as helping you “add the power of data to your stories.” This focus on graphics as part of a larger narrative has made Datawrapper a favorite tool for media types, and makes it perfect for UXers looking to create internal reports as well. The app is as simple as Charted but gives you more flexibility in the type of visualizations you create – just upload online or CSV file data, select the type of chart you’re looking for and that’s it. 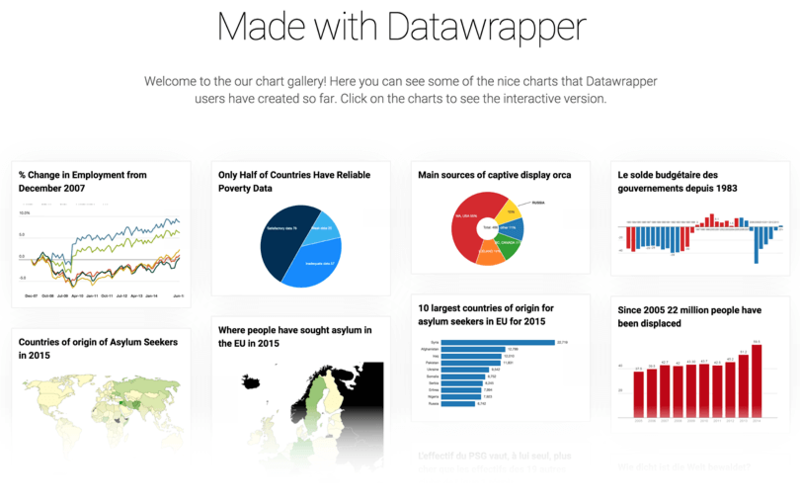 Datawrapper churns out the graphic and the CMS-ready embed code. You can even add branding to the visualizations – perfect for UX agencies using graphics with clients. Tableau is a popular visualization tool among non-developers, and it’s not hard to figure out why. Even the application’s free version (Public) has a huge range of flexibility and power – bubble maps, heatmaps, scatter plots and more can be created without coding or a design background. While using Tableau Public is easy when you know how, there definitely are some elements that take effort to master. Luckily the application offers both solid support and sample visualizations that help newbies get going. Once you’ve built the visualizations they can be embedded into a webpage or built out into a report. As you probably guessed from the name, Timeline is all about… making timelines. The open source tool allows beginners to make a Timeline with just a Google sheet of data, while those familiar with the tool can customize their outputs with JSON. The timelines are interactive – add videos, audios, maps or social media materials to encourage dynamism and interactivity. Timeline would be great for mapping user journeys over a product lifespan or activities during the UX design process. Plotly allows users to build charts right there in their web browser. There is a substantial number of chart design options, although some – such as satellite maps – are available only for paying subscribers. The app interface is super clean and friendly looking: to make a graphic all you have to do is upload the information you want to visualize and play around with the layout and legend. The resulting graphics come out looking professional and comprehensive. If you’re not feeling inspired then check out Plotly’s gallery to see what you can do with the tool. If you’re pressed for time then Charted is a great little data visualization tool. It’s super simple – simply upload the URL of an online information set spreadsheet (or manually upload a CSV file) and watch Charted whip up a graphic automatically. That’s it! True, this level of auto-magic leaves you very little flex, but if you need a simple graphic for a UX report or to convince a stakeholder, then Charted will give it to you instantly. Another quick and easy data visualization tool, ChartBlocks allows you to combine data from multiple sources into one comprehensive graphic. There isn’t a great range of chart types to choose from, but you can export the visuals to SVG or PNG. Perfect for use in Justinmind later on! “The missing link between spreadsheets and data visualization”, RAWGraphs lets you upload spreadsheet info and convert it into the kind of graphics that are tough to produce with other tools. The gallery page is chockfull of awesome, inspiring data visualization examples that will have you itching to get started. UXers who need to create visuals with mapping, look no further. InstantAtlas lets you create interactive, kinetic reports based around statistics and maps. The tool works on servers, browsers or desktop and gives users the power to geographically contextualize complex information in a dynamic form. Great for mapping global usability testing trends. UXers rely on data to make important decisions throughout thew UX design and development process, from validating solutions with stakeholders to understanding user trends. These 8 data visualization tools will help UX designers make their data comprehensive, comprehensible and compelling.